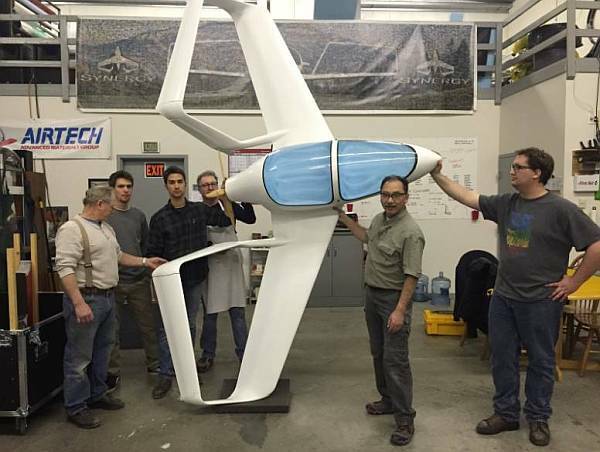 The founder and CEO of Synergy Aircraft describes the unique personal airplane he is developing. In the news, we look at airliner nose strikes, new security measures at airports worldwide, the credibility of United Airlines top management, the A330neo maiden flight, and the passing of aviation journalist Ben Sandilands. John McGinnis is founder and CEO of Synergy Aircraft LLC, a seed-stage company developing a quiet, roomy, fuel-efficient aircraft using advanced aeronautical and manufacturing technologies. John describes the process he employed in designing and developing the Synergy. Where some projects start with a favored design that then gets developed, John looked first at best practice principles that led to the design. 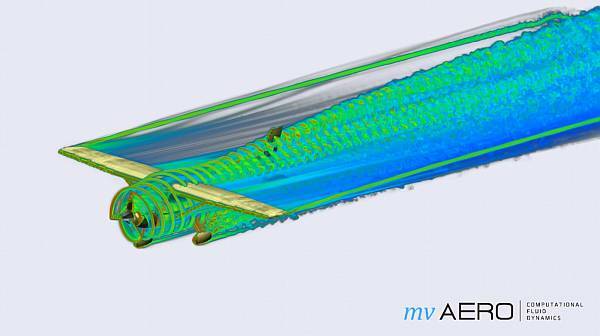 These principles include biplane theory, laminar flow, and active drag reduction. They had been explored historically, and John assembled them in one design using advanced analytical tools. The resulting “Double Boxtail™” wing-becomes-tail configuration is aerodynamically efficient, fast and quiet, and features a spacious cabin. Synergy has been testing scale models and John reports good results. John is the founder of MC Squared Design USA (a service bureau providing 3-D design, CNC machining, 3-D printing, and composite fabrication) and MV Aero, a provider of state-of-the-art Computational Fluid Dynamics (CFD) simulation. John is a Senior Member of the American Institute of Aeronautics and Astronautics (AIAA) and an EAA contributor. 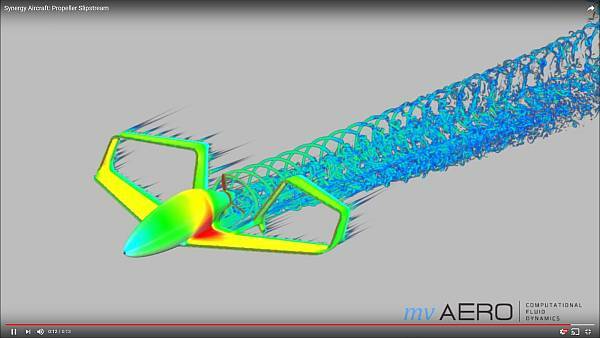 Synergy Aircraft CFD analysis of conventional airplane. Synergy Aircraft CFD analysis of the double boxtail design. We talked with Marcy Heacker from the Smithsonian Institution, Feather Identification Lab in episodes 253 and 202. In March 2017 DHS banned personal electronic devices larger than phones on direct flights to the U.S. from 10 airports. That restriction is now loosened, but additional DHS security measures are in place that affects 235,000 passengers on 2,000 flights daily to the U.S. on 180 airlines from 280 airports in 105 countries. Column: Can United Airlines brain trust survive another tough journey? Some financial analysts question the ability of United’s top management to pilot the company through the challenges ahead. The Airbus A330neo made its successful maiden flight with a new engine and improved aerodynamics. The 1,400-hour flying test program will proceed with 3 prototypes and the first production aircraft. Ben Sandilands covered aviation for decades and was the editor of the Plane Talking blog on Crikey. His last post was Malaysia will focus renewed MH370 search where Australia refused to look. RIP Ben. #PaxEx Podcast 51: Safety first as allergic passengers endure challenges. San Gabriel Valley Airport Air Fair and Open House. This entry was posted in Episodes and tagged Airport security, Delta Air Lines, Paris Air Show, Singapore, Synergy Aircraft, Turkish Airlines, unducted fan, United Airlines on November 1, 2017 by maxflight. This episode, we have a number of interviews recorded at the 2017 International Paris Air Show by our reporter-at-large Launchpad Marzari. We hear about the Antonov AN-132, Gore-Tex applications in aviation, an anti-drone gun, additive manufacturing with metals, and a really fascinating and detailed look at ejection seats. Launchpad also met up with Airplane Geeks listener Pauline. In the news, we look at more evidence of the pilot shortage, FAA reauthorization bills in the U.S. Congress, ATC privatization, and security measures for commercial aviation. 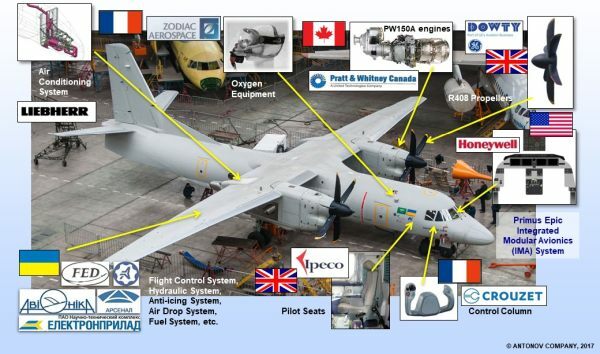 Main features of the Antonov AN-130, presented at the Paris Air Show. Courtesy Antonov Company. Lockheed Martin F-35 Lightning II ejection seat from Martin-Baker at the Paris Air Show. Aleksandr Khokhlov, Program Director-Deputy Chief Designer, Antonov AN-132D Aircraft. Airplane Geeks listener Pauline, from Electro Enterprises, a distributor of electrical components for aerospace and defense. Tim McMullen from W.L. 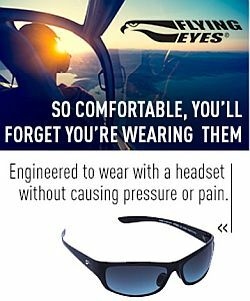 Gore & Associates on aviation applications for Gore-Tex. Andre Huysentruit, MC2 Technologies, producer of the UAV-Scrambler300 directional microwave anti-drone gun. Dafydd Williams from Renishaw on additive manufacturing with metals. 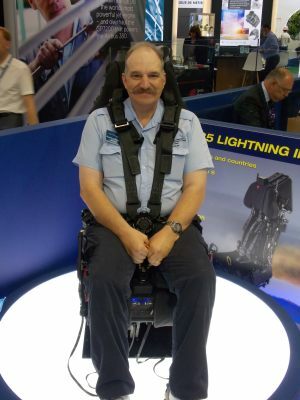 Tony Gaunt, from ejection seat manufacturer Martin-Baker. 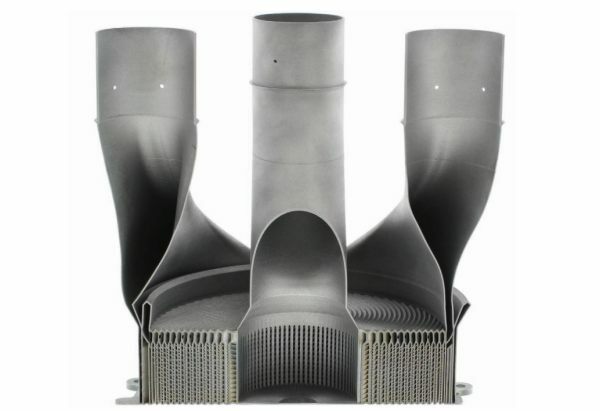 An example of the complexity of the parts that can be manufactured through metal additive manufacturing. Photo courtesy Renishaw. Regional airline Horizon Air is experiencing a severe shortage of Q400 turboprop pilots. They’ve recently canceled 318 flights, and more are planned. Managers are being used to fly the planes, pilots are being offered double pay, and hiring bonuses of up to $20,000 are available for Q400 pilots. Max Trescott and Rob Mark discuss at length the proposal to privatize U.S. Air Traffic Control. Senate Bill S.1405, the FAA Reauthorization Act of 2017. House Bill H.R.2997, the 21st Century Aviation Innovation, Reform, and Reauthorization (AIRR) Act. We talk about ATC privatization and other proposed provisions. The Transportation Security Administration verified that the Department of Homeland Security measures have been implemented at Etihad Airways, so that airline is now exempt from the U.S. electronic device ban on flights from Abu Dhabi to the United States. The suggestion of a laptop ban on all international flights to the U.S. has been pulled back. Oppose Air Traffic Control Privatization – The EAA webpage where you can voice your opinion to your elected officials. This entry was posted in Uncategorized and tagged 3D printing, Antonov, ATC, drone, ejection seat, FAA, Horizon, Paris Air Show, pilot shortage, Shark Aero on July 5, 2017 by maxflight. Jeanette Remak and Joe Ventolo Jr. from Phoenix Aviation Research tell the story behind the Lockheed A-12 Blackbird at the Intrepid Sea, Air & Space Museum in Manhattan. In the news, we look at FAA reauthorization bills and the battle shaping up in Congress, this year’s Paris Air Show, the Catalina Flying Boats’ DC-3 aircraft, the youngest pilot in Australia, and an Israeli court ruling on reseating women in the airplane. 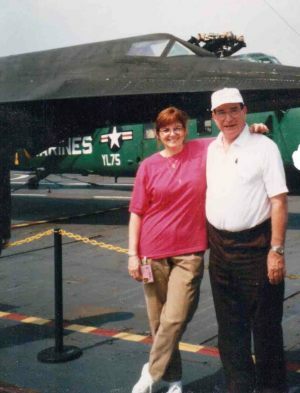 Janet Remak and Joe Ventolo Jr. with the A-12 on the Intrepid. Jeannette Remak is the owner of Phoenix Aviation Research. She’s a military aviation historian, a writer, author, artist, and photographic engineer. Her books include XB-70 Valkyrie: The Ride to Valhalla and A-12 Blackbird: Declassified. In the mid-1990s, Jeannette worked as the volunteer Aircraft Historian for the Intrepid Sea, Air & Space Museum in Manhattan. She performed research for maintenance and restoration, and worked on the aircraft under her control at the museum, including many U.S. 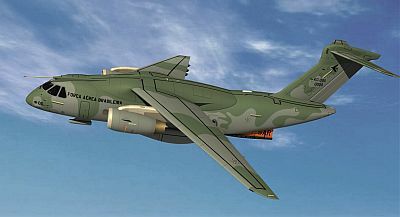 Naval and U.S. Air Force aircraft on loan. Jeannette restored sheet metal, she controlled airframe titanium corrosion, and she appropriated parts and specialized equipment for work on A-12 aircraft. Working with the US Navy’s Curator office, Jeannette is responsible for the rescue of the Sikorsky RH-53D that is the lone survivor of the failed United States hostage rescue mission in Iran. The CH-53D is now restored and on display at the JFK/ US Navy Seal Training School in North Carolina. Jeannette has a degree in Commercial Photographic Engineering and obtained her Master’s Degree in Aviation Science in 2000. Jeannette also has a degree in Commercial Photography from the NY Institute of Photography. Joseph A. Ventolo, Jr. is the former curator of the National Museum of the US Air Force. His career started in November 1959 when Joe joined the 269th Combat Communications Squadron of the Ohio Air National Guard. In 1965, he received a commission as a 2nd Lieutenant as a communications officer. He left the Ohio Air National Guard in 1966 and transferred to the Air Force Reserve where he was promoted to 1st Lieutenant and remained in the Air Force Reserve until 1970. In 1962, Joe joined the staff of the U.S. Air Force Motion Picture Film Archives at Wright-Patterson AFB as a Motion Picture Archivist. In 1979, he transferred to the U.S. Air Force Museum’s Research Division as the Museum’s Historian. Two years later he became a Curator of Aeronautics. Joe has co-authored articles that appeared in such periodicals as Air Enthusiast, WW I Aero, and Friends Bulletin. In 1993 he was appointed Curator of the U.S. Air Force Museum and named Curator of the United States Air Force. He remained in that position until his retirement in 1995. Joe is currently a co-owner/consultant with Phoenix Aviation Research. He has co-authored articles in the Atlantic Flyer, and written three aviation books, all with Jeannette Remak. Their first book, XB-70 Valkyrie: The Ride to Valhalla was published in December 1998. Their second book, A-12 Blackbird: Declassified, was published in December 2000. And a third book, The Archangel and the OXCART: The Lockheed A-12 Blackbirds and the Dawn of Mach III Reconnaissance was published in 2008. Jeannette and Joe previously appeared in Aviation Xtended #59 talking about the XB70 Valkyrie. Jeannette talked about the shuttle disaster in Aviation Xtended #54. Phoenix Aviation Research Facebook page with all the photos. Phoenix Aviation Research business page. Jeannette Remak books on Amazon.com. The United States Air Force Art Collection paintings by Jeannette Remak. Airbus secured 326 orders with Boeing getting 571. Boeing debuted the 737 Max 10 and offered some insights into the 797 model. 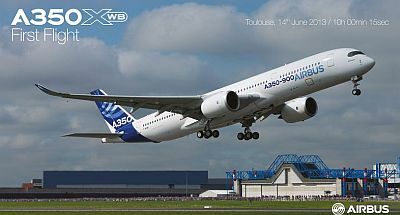 Airbus presented the A321neo and the A350. 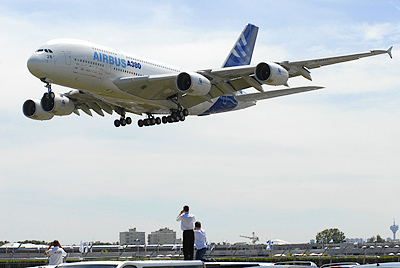 Airbus unveiled the A380plus, with 4% lower fuel cost. The plane features winglets and seating for 575 in four classes. 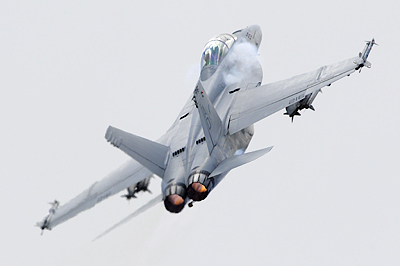 Boeing says we could see hypersonic jets in commercial use in the next decade or two. Eagle Services Asia (a JV between Pratt & Whitney and SIA Engineering Company Ltd.) will provide maintenance services for the PurePower® Geared Turbofan™ (GTF) engine. Boeing said it has 240 orders and commitments. Some orders are conversions from earlier orders for other MAX models. The MAX 10 is a stretch of the MAX 9 that seats up to 230 passengers and is designed to compete with the Airbus A321neo. Airbus launched a new open aviation data platform called Skywise to support digital transformation of the industry. The Skywise aviation data platform was developed in collaboration with Palantir Technologies. See the video: Airbus launches new open aviation data platform, Skywise. P&W signed an MOU with Japanese Aero Engines, a consortium of Japanese manufacturers. The partners will spend more than 100 billion yen ($898 million) to create small-aircraft engines. 90,000 in the Asia-Pacific region. Rep. Bill Shuster, R-Pa. introduced a proposed FAA reauthorization bill in the House. The Bill prohibits passengers from being removed from a flight after they’ve boarded, privatizes ATC, and requires airlines to post resources for stranded passengers online when the airline is disrupted by a computer outage. It also calls for the faster development of a traffic management system for small drones, faster approval process for commercial drone operators, and a new certification system for small-drone commercial operators. Catalina Flying Boats is retiring its historic DC-3 aircraft for a pair of single-engine turboprop Cessna Caravans. Teenager Jade Esler has become Australia’s youngest licensed recreational pilot. She funded the training by selling about 20,000 cupcakes. Jerusalem’s Magistrate Court ruled that it was discrimination to ask a female passenger to change seats because an ultra-Orthodox Jewish man said he did he not feel comfortable sitting next to her. After the 2017 Innovations in Flight event at the Smithsonian’s National Air & Space Museum, Jonathan Baron took David up in his Shark LSA. Jonathan was our guest in Episode 442 Shark Aero. David Vanderhoof and Jonathan Baron with the Shark. This entry was posted in Episodes and tagged A-12, Airbus, American Airlines, Aviation museum, Boeing, F-35, FAA, Paris Air Show, Pratt & Whitney, Qatar Airways, Shark Aero on June 28, 2017 by maxflight. Five things to watch for at the 2017 International Paris Air Show. 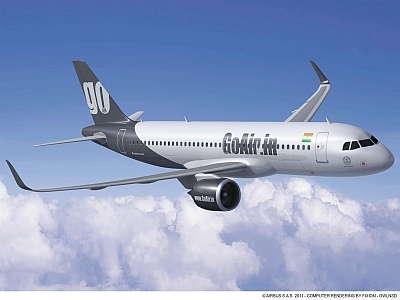 Also, a ruling that allows the Commerce Department to proceed with its investigation of claims by Boeing that Bombardier is engaging in unfair pricing, the European Union proposes rules for complaints of alleged discriminatory practices, a temporarily grounding of F-35 fighters, certification of the Diesel Cessna Skyhawk JT-A, and the Director General’s Report to the IATA Annual General Meeting. Cyient is a global leader in engineering design services, design-led manufacturing, networks and operations, data transformation and analytics. Anand Parameswaran heads up global Aerospace and Defence at Cyient and leverages Cyient’s capability across product design, manufacturing, and aftermarket solutions. He works around the world with OEMs and tier 1 suppliers. The U.S. International Trade Commission has ruled that the Commerce Department can proceed with its investigation of claims by Boeing that Bombardier is selling jets in the U.S. at below fair price. Boeing says the CSeries planes benefit from illegal government subsidies. Canada warned it could cancel a planned $2 billion purchase of 18 Boeing military jets over the dispute. Air France KLM and Lufthansa have been complaining that Gulf carriers receive illegal government subsidies. Emirates, Qatar Airways, and Etihad all deny the charge. Now the European Union has proposed rules to allow EU governments and airlines to submit complaints of alleged discriminatory practices to the European Commission. The U.S. Air Force temporarily grounded F-35 fighters at Luke Air Force Base in Arizona because of five incidents where pilots reported hypoxia symptoms. In each case, the airplane’s backup oxygen system worked as designed and the pilot was able to land the plane safely. The FAA and the European Aviation Safety Agency (EASA) certified the Cessna Turbo Skyhawk JT-A with next-generation Garmin G1000 NXi avionics. The Director General’s Report on the Global Air Transport Industry was delivered at the IATA Annual General Meeting and World Air Transport Summit in Cancun, Mexico. Overall the air transport industry is generating profits above its cost of capital. In 2017 the global airline industry is expected to generate a $31.4 billion profit on $743 billion in revenues. Protectionism is replacing globalization, and that’s a threat to the industry. Flying remains the safest form of long distance travel. IATA is concerned about states not fully investigating air accidents. The landmark Carbon Offset and Reduction Scheme for International Aviation (CORSIA) was agreed to at the International Civil Aviation Organisation’s (ICAO) 39th Assembly. Seventy states representing at least 80% of anticipated future growth have indicated their voluntary participation in the scheme. The U.S. pulling out of Paris Agreement is cause for concern. Alternatives must be found to the electronics ban on large portable electronic devices. IATA is concerned about a looming infrastructure crisis is looming. Existing infrastructure is inadequate and development plans are not ambitious enough. IATA urged governments to be cautious when privatizing infrastructure assets. U.S. Air Force F-35A “AF-78” tail number 13-5072 from the 388th Fighter Wing at Hill AFB, Utah performed a low show aerial demonstration practice for the 2017 Paris Air Show, near Fort Worth, Texas. Aviation photographer Caulun Belcher of Texas shot the video of the F-35A rehearsal. Reporter Sarah Lyall spent a week crisscrossing the U.S. in Economy class. She provides a day-by-day account of her trip. Great show, available on Netflix, watch it if you can. They are also on Twitter and Facebook. Have you ever wondered what a jet sounds like if you were just floating at altitude without an engine? A high altitude weather balloon experiences a close flyby from a Delta Airbus A319. This entry was posted in Episodes and tagged Boeing, Bombardier, Cessna, Cyient, F-35, IATA, Paris Air Show on June 14, 2017 by maxflight. Conversation with ProPilotWorld.com founder Mark Matzuka, a close call at Midway, privatization of air traffic control, and observations on the Paris Air Show. Mark Matzuka is Founder and President of ProPilotWorld.com, an online forum for pilots. As Mark looked at other pilot forums, he found they sometimes lacked accountability and didn’t have the level of professionalism he was after. Anybody could join those forums and offer advice and comments, but sometimes it wasn’t clear if these people were qualified, or even who they really were. Mark responded by creating ProPilotWorld.com, a paid membership site that he calls, “The Premier Information Exchange and Networking Resource for Professional Pilots.” Registered members are vetted. Because the site is funded through membership fees, the forum does not rely on advertisers. Over 100 forums and subforums provide plenty of opportunities for the over 14,500 member pilots to exchange information and network. An associate membership is available for qualified professionals who are not pilots. Mark has been flying for 27 years, 22 in business aviation with more than 13,000 flight hours, 10,000 of those in jets. He started his flying career in Chicago where he spent 20 years working as a flight instructor, charter and corporate pilot, and eventually became chief pilot. He now lives in Southern California as the chief pilot and aviation manager on a Gulfstream G450. A Southwest Airlines plane and a Delta Air Lines plane with similar sounding flight numbers simultaneously initiated takeoff rolls on intersecting runways. U.S. House Transportation and Infrastructure Committee chairman Bill Shuster plans to introduce a bill to create an independent ATC corporation funded by user fees. Paris Airshow racks up $107 billion in Airbus and Boeing total orders and commitments, 421 aircraft for Airbus, 331 aircraft for Boeing. G450 post photo courtesy Gulfstream Aerospace Corporation. Opening and closing music courtesy Brother Love from the Album Of The Year CD. You can find his great music at brotherloverocks.com. This entry was posted in Episodes and tagged ATC, Gulfstream, incident, Paris Air Show, ProPilotWorld on June 27, 2015 by maxflight. Dave Shallbetter from Sun ‘N Fun Radio talks to the Geeks about the annual “spring celebration of flight” in Florida. They stream great aviation content year-round at LiveATC.net. You can follow Dave on Twitter as @snfRadioDave. Steve Visscher and Grant McHerron don’t provide their 100th Australia Desk report, just yet. Be sure to listen to the Plane Crazy Down Under podcast, and follow the show on Twitter at @pcdu. Steve’s at @stevevisscher and Grant at @falcon124. This week on Across the Pond, Pieter Johnson has a fascinating conversation with Petter Hovland, the lead Pilot and Instructor for the Virtual Red Arrows display team, @vredarrows on Twitter. This entry was posted in Episodes and tagged A320NEO, Airbus, Boeing, Bombardier, Comac, CSeries, Frontier, Paris Air Show, Ryanair, Sun n Fun, TSA, Unions on June 28, 2011 by maxflight. Co-hosts Rob, Dan, and Max are joined by guests Jon Ostrower (Flightblogger), Benet Wilson (AviationWeek), and Mary Kirby (RunwayGirl). This episode focuses on the Paris Airshow, but we’ve also got Dan’s interview with with Gary Kelly, the CEO of Southwest Airlines, our report from the boys down under at the Airplane Geeks Australia Desk, a This Week in Aviation segment, a bit by Courtney (remember him? ), and listener mail. Rob selected sky-lens as this week’s aviation website pick of the week. There you’ll find great aviation photographs by François Brévot, including those you see in this post, taken at the 2009 Paris Air Show. Don’t forget to send us your ideas for Airplane Geeks T-Shirts! Follow the Airplane Geeks on Twitter as @AirplaneGeeks, send us email at thegeeks@airplanegeeks.com, or leave us voice mail at (812) 757-4252. This episode’s opening and closing music is provided by Brother Love. You can visit his site at brotherloverocks.com. This entry was posted in Episodes and tagged Airbus, awards, Boeing, CSeries, Paris Air Show, sou, Southwest on June 24, 2009 by maxflight.